Today Mark Zuckerberg reaches the ripe old age of 30. To celebrate his birthday let's look at eight companies that have been acquired by Facebook, for various reasons. Let's all wish him a Happy Birthday with a list of companies that Facebook will use to take over the world. 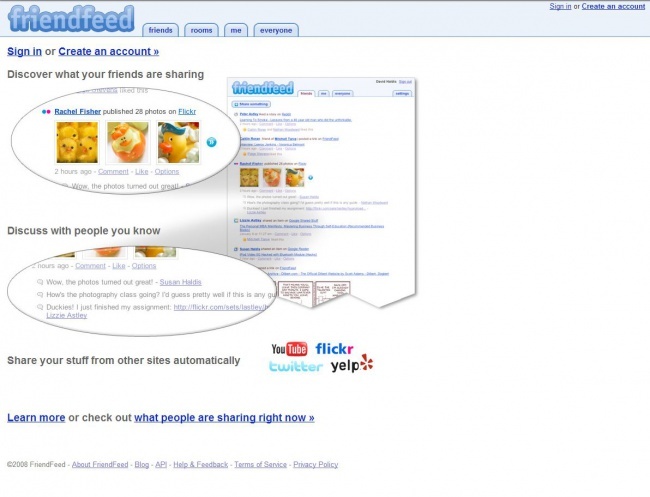 FriendFeed was purchased by Facebook for 47.5 million dollars in 2009. They picked it up for their social networking aggregating, something that they've mastered since its acquisition.